Originally brewed on the banks of the Waikato River, Waikato Draught is the region's favourite thirst quencher with its distinctive, strong and refreshing taste. 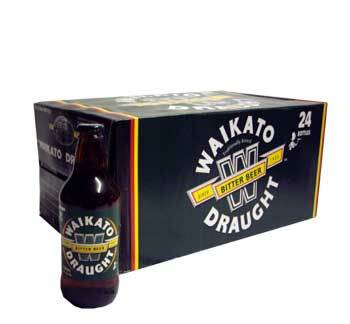 Waikato Draught was awarded a gold medal and won best in class in the NZ Draught beer category at the 2005 BrewNZ awards. Best beer in the world! Only beer I have found that has a bitter beer taste but with a lager texture! I used to drink this stuff religiously back in NZ so stoked I can get it over here even if its a little pricey.